There has been a great deal of coverage recently in the Leveson Inquiry on the manipulative behaviour of British newspapers. The use of popular media to affect public opinion is, of course, not a new thing. 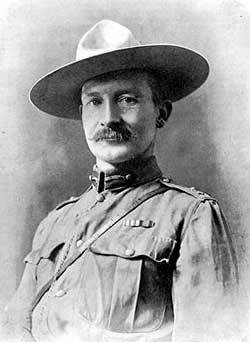 In 1899, the Boer army had surrounded British troops under the command of Colonel Baden-Powell in the town of Mafeking, South Africa and kept them trapped there for 217 days. In response, the British popular press had raised patriotic sentiment for the Siege of Mafeking to a fever pitch. The Relief of Mafeking on 18 May 1900 created a ‘spontaneous’ outburst of popular rejoicing, first in London and then throughout the British empire, that would be unrivaled until Armistice Day, 1918.However, the events that led to Mafeking Night say less about British support for imperialism than they do about the power of the press to tease the British public into a frenzy of anticipation and then to release the tension in a rush of carefully-directed enthusiasm, writes history editor Dr Glenn Davies. During the late nineteenth century there did not appear to be any check on the newly emerged popular press. The war in South Africa owed its impact in part because it was the first major British war since the advent of mass literacy after the 1870 Forster Education Act (also known as the Elementary Education Act). There was a mass readership anxious to read the popular press, while technical advances in telegraphy and news gathering had transformed the methods and scope of the British newspaper industry. By the end of the nineteenth century there had emerged a vibrant popular press catering for the masses, and one far less elitist and deferential than the relatively restrained reporting of such newspapers as The Times or the Daily News. Public opinion about the Boer War became quite directly dependent on popular newspapers. The popular press thrived on the daily drama of war reporting from South Africa and benefited in circulation figures and influence from the war. A symbol was needed to unite Britons together in support of the South African conflict. The million-circulation Daily Mail and its allies in the new popular journalism of the late 1890s handed the British government the answer: The Siege of Mafeking. The Siege of Mafeking became a myth almost as soon as the town was encircled by Boer troops, with its strong, masculine hero in Colonel Robert Baden-Powell, its plucky British civilians including the elegant journalist Lady Sarah Wilson, all making the best of a bad lot, as well as its loyal African population rallying behind the Union jack. It was all a war publicist’s dream. The popular press journalists were intensely one-sided in their writing, focusing on the ‘gallantry’ of the British troops on the veldt and presenting coverage of the siege in idealized, even romantic, terms. One of the reasons why the siege was bound to be in the news was the presence in the beleaguered town of journalists from four London papers: The Times, Morning Post, Daily Chronicle and Pall Mall Gazette. Their dispatches were slipped through the Boer lines by native runners who carried them to a telegraph office fifty miles away. The events of Mafeking Night saw the emergence of a British public that observers had been assuming existed all the while that they were creating it. The newspapers were considering ‘what the public wants’ while teaching it what to want, and the celebrations of Mafeking Night served as both evidence that there was one ‘public’ in Britain and as example of the effectiveness of the press. The Mafeking Night celebrations have been portrayed as spontaneous, unproblematically patriotic, and at the same time nationally uncharacteristic. That is, they were distinctly un-British. “You’ve seen something that I never suspected lay in the national character — the nation letting itself go”. But perhaps this hidden side of the national character was not as ‘spontaneously’ revealed as Kipling implied. In Victorian Britain, where masses in the streets had always meant strikes and riots, there had been no precedent for large-scale public celebration. 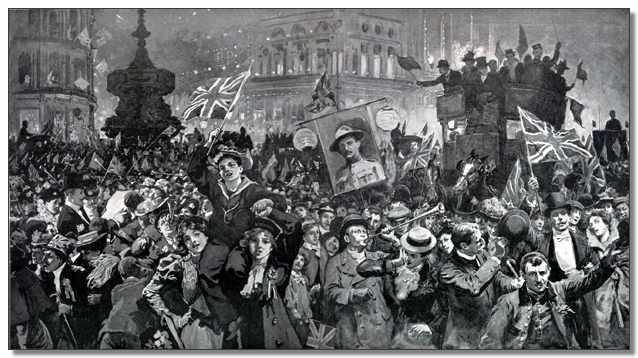 But the British people poured into the West End to celebrate the Relief of Mafeking. Newspapers and journals touted the mixed-class nature of the Mafeking festivities. The rioters were not working-class radicals, threatening the political or social order; rather, in the language of the press used to describe Mafeking Night and the following day, they were ’everyone’ and ‘London’ and even ‘England’. The popular press beat the drum for Britain and managed to produce in Mafeking Night itself a spectacle of English enthusiasm for empire that united the upper and middle classes with the working class and provided an image of imperial solidarity behind a war that had not been going well. The border town of Mafeking was home to one of the major British garrisons besieged during the Second Boer War. Mafeking was a small town 258 kilometres due west of Pretoria and was the most northerly town in the Cape colony. The commanding officer, Colonel Robert Baden-Powell described it once as being a “very ordinary looking place”. Mafeking was not important strategically, or because what took place there had any effect on the course of the war, but because Britons everywhere thought it was important. The reason they thought it was important was because the press told them it was. The Siege of Mafeking began in October 1899, when the little town was surrounded by a Boer force of some 5,000 men under the capable leader, Piet Cronje. The British garrison numbered about 2,000 officers and men. Also in the town were some 7,500 black Africans, some of whom were refugees from the surrounding country. For months, throughout 1900, the whole of Britain and the empire followed the Siege of Mafeking in the newspapers. During the 217 days of the siege, the longest of the war, much was written in the British popular press about the personal qualities of Colonel Baden-Powell. He was to become the enduring symbol of a ‘good war’, and later, as a direct result of his personal publicity, the symbol and leader of the cult of ‘boy scouts’ and the outdoor ethos of the ‘illimitable veldt’. The British writers of the time such as Baden-Powell’s friend Rudyard Kipling, Arthur Conan Doyle of Sherlock Holmes fame, and other besotted journalists, romanticized him for his humanity, his calm and resourcefulness, and his impish good humour. The also emphasized his typically English love of sport through his promotion of cricket and football matches amongst the British troops. All these personal qualities were also emphasized in the war dispatches written by the aunt of Winston Churchill, Lady Sarah Wilson, that were smuggled out of Mafeking and published in the Daily Mail. Her articles were very popular with the British public as they did not dwell on the horrors of the siege, rather describing cycling events held on Sundays and the town’s celebration of Colonel Baden-Powell’s birthday, which was declared a holiday. All of these writers helped to make the Siege of Mafeking a symbol of the British ‘bulldog spirit’. Certainly Baden-Powell’s highly distinctive style and appearance geared to self-publicity – notably the bush hat he wore on his head – were no hindrance to the creation of the myth of a ‘gentlemanly’ war. The Siege of Mafeking was finally lifted on 17 May 1900, when British forces commanded by Colonel B.T. Mahon of the army of Lord Roberts relieved the town after fighting their way in. 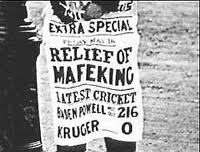 The Relief of Mafeking proved to be one of the bright spots of the South African campaign. When news reached London at 9:17pm on Friday, 18 May 1900 that the garrison posted at Mafeking had been relieved, central London exploded. The Relief of Mafeking caused immense celebrations in Britain and throughout the empire, out of all proportion to its significance (briefly creating the verb maffick, meaning to celebrate both extravagantly and publicly). Massive crowds gathered outside newspaper offices to hear the latest details of the rescue as they were telegraphed around the world. In July 1899, Queensland was the first colony in the British empire to offer troops in support of Britain in its expected war against the Boers. Each of the Australian colonial governments sent volunteers to help the British troops in the war. 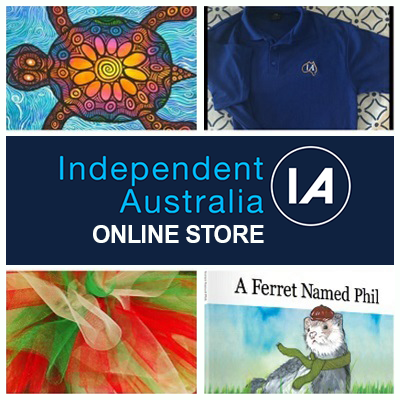 Upon hearing the news of the Relief of Mafeking there was also great celebrations throughout the Australian colonies. Newspaper offices throughout the colonies were crowded with people wanting to hear the latest details. 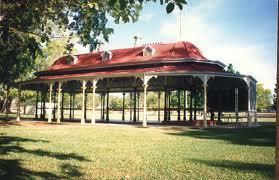 The mining community of Charters Towers in North Queensland had adopted a keen interest in the war in South Africa. In each of the seven Queensland contingents, and also the Commonwealth contingents after 1900, there were Charters Towers volunteers. The exact number of Charters Towers men who served in South Africa is not known for certain. 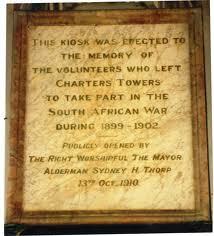 The public honour board on the Boer War Memorial Kiosk in Lissner Park records 82 men, three of whom were officers. This was certainly not the full complement. 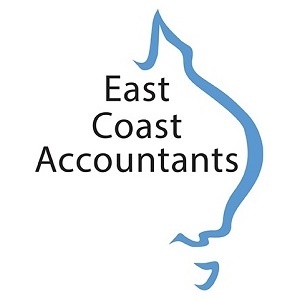 At least two officers, Carroll and Glasgow, were not among the names and there would have been a number of other Charters Towers men enlisting in other centres, such as Townsville and Brisbane. The most likely figure would be just over 100. Charters Towers had a common background with the Rand in South Africa with wealth from gold mines. Indeed, during the 1890s migration had occurred between Charters Towers and South Africa and as a result many in the town had personal links with Uitlanders in Transvaal. The prosperity in Charters Towers during the South African War period meant that “wages men” could afford the luxury of concerning themselves with international events. The news that Mafeking had been relieved on 18 May 1900 reached Charters Towers the next day. Fire bells clanged for two hours and the telephone exchange was unable to cope with the hundreds of calls. In mines and mills, whistles were blown and all the churches, including the ‘German Church’, rang their bells. Lively informal celebrations continued throughout the day at the Exchange and many other hotels. Early in the afternoon crowds began to assemble in Gill and Mosman streets and business came to a standstill. Major Hooper of the Kennedy Regiment arranged a torchlight procession of the Defence Force and Fire Brigade for that evening. Led by the mayor, the torchlight procession marched from the Fire Brigade’s Central Station and was joined by the Defence Forces and Band, members of the Rifle Club and Londoners’ Club and the public. As they marched past Drummond and Company’s Caledonian House, hats were taken off and cheering erupted from the crowd. A life-size painting of Baden-Powell had been hastily completed from a photograph and erected on the awning surrounded with flags. As the procession marched along Gill Street, the band played “Soldiers of the Queen”, “Hero of Trafalgar” and other patriotic songs. The throngs lining the route joined in the singing. Mayor Benjamin telegraphed the Queensland Premier enquiring which day was to be a public holiday. He was informed it would by 23 May 1900 throughout Australia. It is no use attempting to describe the scene in the city during the day. It simply cannot be described. Nothing like it has ever been seen before. It will be a long time before we have such a festival again. Those who saw it or went through it all have but one description – that the people were in a wild delirium, a frenzy of jubilation … Flags covered almost every building, many flags were carried from one side of the street to the other … Few towns in the Empire could present such an imposing spectacle – none could excel the heartiness and spontaneity of the loyalty displayed towards the throne and country. The South African war had a profound effect on Australia’s attitude to the British empire and its understanding of its own union. The intensity of imperial loyalty was in stark contrast to the feeling for federation, much more for the republic. Australians generally welcomed the new British interest in empire. On 5 July 1900, the Commonwealth of Australia Constitution Act was passed by the British Parliament. Uniting British people and strengthening the empire had always been one of the appeals of federation. 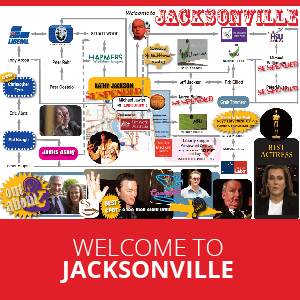 By the time of its consummation, it was central to the rationale. It appears the Relief of Mafeking celebrations were a public manifestation that Federation’s other meaning as a step towards full independence had receded.